So much has changed in our lives, the country , and in our world since graduation. . . . . love, death, pain, loss, weight gain, gray hair, health challenges, computers, blogs, email , disappointments . . . . to name a few. What if we are not remembered or welcomed ? We would have to add that blow to your egos from long ago in Staunton, Virginia. Could we just laugh and remember, at least for a few days our hopes, dreams, and friends? I couldn’t articulate those feelings of vulnerability a while back when my dear friend Page was encouraging me to come back for the reunion. I said honestly that I didn’t want to drive all that way by myself, and that was a biggie! Page suggested the train, which I love or contacting Anne near Syracuse to ride together. She just wouldn’t take no for an answer. Riding with Anne became a reality. The 7 plus hours of the trip going and coming flew by. We did have a laugh when she wanted me to navigate…..Who moi? She was”driving Miss Anne.” as my children say or “On Miss Anne duty!” All said affectionately, I am sure! This set the atmosphere of sharing and laughing that continued the weekend. I am not going to recount the activities but will share a few photos. The old birds look pretty good, don’t we? 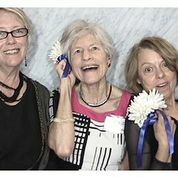 Kay, Jo, me, and Page This was the opening reception. . . .
Saturday night was the dinner /dance and my favorite part was the photo booth from our youth at Woolworth’s in downtown Staunton. There were props for funny pictures, but I just like the pictures. 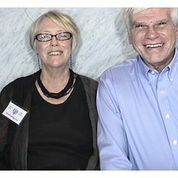 Here I am with our perpetual senior president, Bill. He was and is everyone’s friend! Here am I with Page, and Anne, my driver! 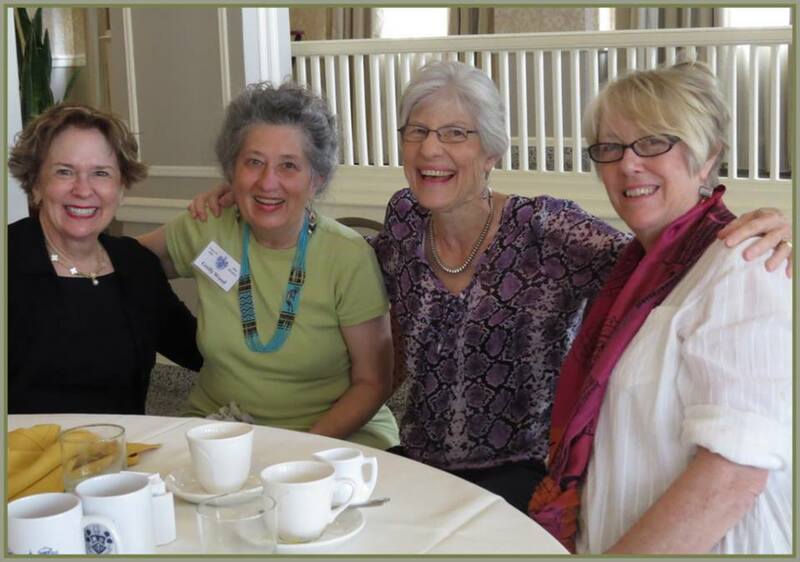 Dear old friends: Mary Anne, Cecily , Page and me. . . . . The years seemed to be stripped away if only for the weekend. The only “old person talk” I heard were stories of knee operations from all the athletic people in our class and the miracle of modern cataract surgery. I was with a group that was together until late in the afternoon on Sunday. We seemed still full of things to share and a need to prolong our time together. As we lingered until the end , a few of the classmates remembered feelings of ” invisibility and inadequately ” during our high school years. The ugly head of past feelings had wormed its way into the weekend. Each who wanted to share those old feelings did so uninterrupted as we all stood silently and respectfully acknowledging that all of us understood. It was a part of growing up . . . . a passage. 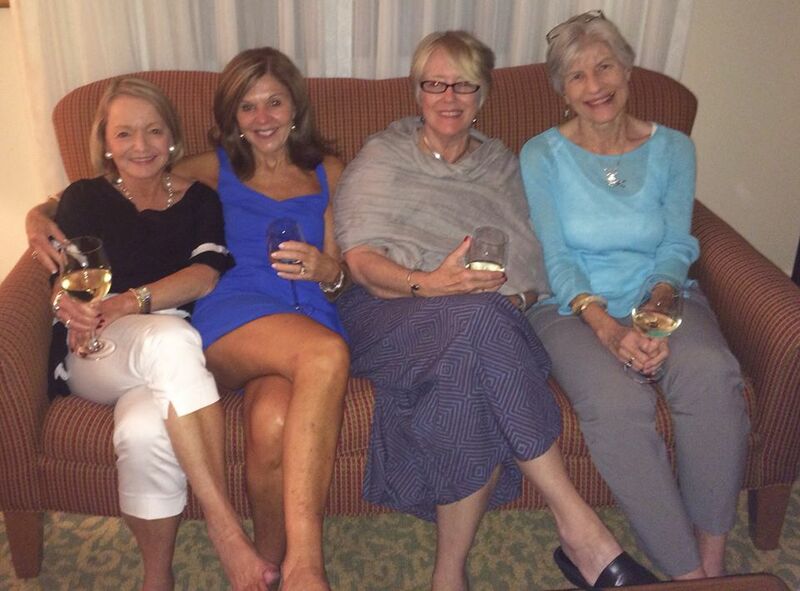 Just as this time of reunion weekend together is a passage into another season of our lives. I would love to hear of others’ reunion experiences. This entry was posted in Uncategorized, USA and tagged blogging, friends, passages, reunion, Robert E. Lee High School, Staunton Virginia, Stonewall Jackson Hotel. Bookmark the permalink. Beautifully stated. Your words make me wish that I could have been there to share the experiences since I have such great memories of so many folks from the 1964 class. This is such a poignant picture you have painted of our reunion weekend…totally spot on. I wish we had been able to spend more time together than on Sunday a.m. I was not able to be in Staunton for Fri. p.m.’s reception, but I would move heaven and earth to not miss a moment of any future reunion. Too many special people I did not have a chance to talk with…I almost missed you! I am glad you included the special conversations you had late Sun. I heard a couple of similar remarks from very special people to me about feeling on the fringe in high school… Ah, as a just recently retired high school teacher, I know navigating those waters remains a difficult journey. I must say, however, that I was blessed with working with student leaders who were positively dedicated to the inclusion of an entire student body (to the best of their ability) with school activities. But much is always left to chance…or circumstance. I am finding that age is the great equalizer…when all any of us strive for is time and good health. We were blessed with growing up in such a wonderful small city, involved (but not too involved…not “helicopter” to be sure!) parents, faith, teachers, and opportunities. Mary Anne, you are too kind. I just love to write and it always touches me so deeply, if I am able to articulate others’ thoughts and feelings, too. What a high compliment. I really didn’t know I liked to write until I was in the Mesa Writing Project and learned about Writing Workshop. It changed my writing and how I had my students write as well. They were only third graders, but I tried to have each kid feel they were writers when I sent them on to fourth grade! If so , no teacher with a red pen could take that away from them or so I hoped. I did write a rather long autobiographical piece for the class update page, if you are interested. Now, of course I remember! Perfect students for you . I was teaching in AZ and retired in 2012 when I was going strong, to go to India. Which I am so glad I did. I was so sad as the new school year started and I was in New York. It was very painful. I was just IMing one of my students who is in 6th grade now. I adored the teaching. If you need help finding the Indian blogs. ( Go to http://talesalongtheway.com and see the months listed on the right. From the bottom you can see India. We got back in May and there are also other posts from India. Just type in India in the search.